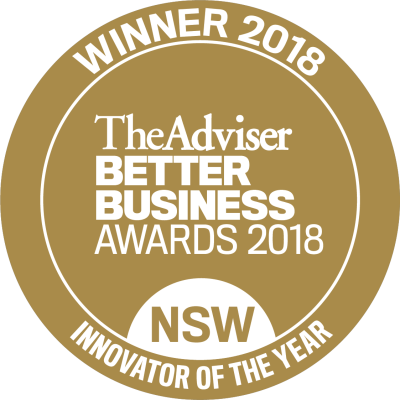 DPN has won Best Innovator at the 2018 NSW Better Business Awards, partnered by NAB and hosted by The Adviser, Australia's top publication for Australian mortgage and finance brokers. The awards ceremony was held on 8 March at the Hyatt Regency in Darling Harbour. The annual Better Business Awards celebrates the state's best Brokers, aggregator and lender Business Development Managers, loan administrators and those running community engagement programs. Now in its fifth year, the Better Business Awards recognises individual and group excellence across 18 award categories. DPN was awarded Best Innovator at the 2018 NSW Better Business Awards. While DPN was previously shortlisted for the awards in two categories, we are delighted to receive the 2018 Innovator of the Year Award for NSW. In a competitive market, innovation is essential to stand out from the crowd. Why an award for innovation? As an accredited mortgage broker, DPN’s multi-faceted ability to help clients develop investment strategies, provide competitive finance and find new ways to enter the property market with access to quality, high-yield project home properties has been highlighted as innovative in their approach. DPN offers a holistic solution for property investors which now extends to Property Management and an insurance referral service. All these services are supported by innovative customer solutions, including their generous giving back program and boutique loyalty and referral programs. "DPN is truly honoured to be recognised for innovation in an exciting and competitive industry." said Sam Khalil, DPN's Managing Director. View the full list of the 2018 NSW Better Business Awards winners.